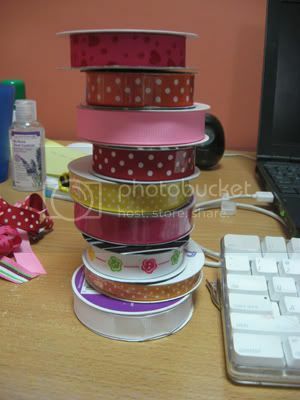 I saw some lovely ribbons from Hobby Lobby and Michaels, the craft store. Immediately I got some home, not some but a lot…hehehehe. 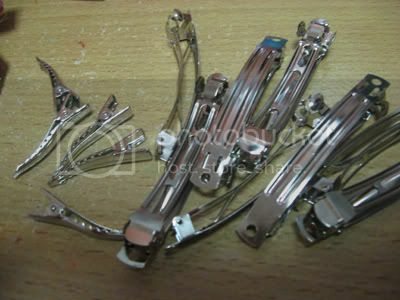 I love doing craft but I will limit myself to do craft that I can use. Besides getting ribbons, I got 2 rolls of yarn to make a hang bag, when I have time. I also got some nice charms and beads. 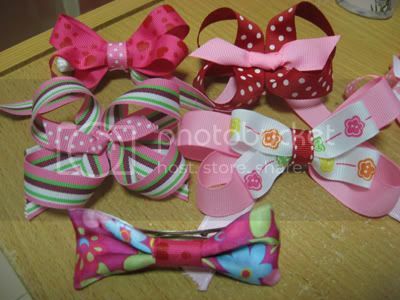 With the online free tutorials to make beautiful bows, I made these. Does it look professional? They are all for my gal to wear on her hair. It is indeed very sweet and lovely! Can’t wait to start my project now!